New TSG Ballet Barre & BODYPUMP Instructor! She is covering many of the Ballet Barre classes while Ariana is away for July and August. Inquire at the front desk to reserve a spot in this small group training class. 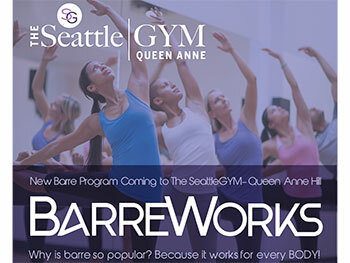 Ballet Barre will introduce you to the basic curriculum that dancers use to train their bodies and to stay in shape. The benefits of a Ballet Barre class include strengthening and toning your muscles, increasing coordination and balance, and improving posture and flexibility. Through repetition and practice, you will find the techniques learned in a Ballet Barre class will enhance your other workouts. In a small group atmosphere, with individualized attention, you will work hard, discover new ways to move your body, and most importantly…have fun!